This is a six hour intensive workshop, split over two consecutive Sundays. This allows for the throwing of the pots on day one (three hours on the first Sunday) and the turning of the pots on day two (three hours on the second Sunday). There are a number of stages in the making of a piece of pottery. After the pot has been thrown on the potters wheel, it is left to dry for a couple days. Once it has reach the ‘leather’ hard stage, it is ready for turning on the wheel. Turning involves the use of very different tools to those used in throwing. The pot is turned (trimmed) on the wheel and given a foot ring. The process of turning/trimming the pot on the potters wheel can also give definition and shape to the pot. Because trimming requires that the pot has dried to a ‘leather’ hard state, it is not a process that can be covered on throwing classes which are of a few hours in duration. So if you wish to learn how to create a pot from start to finish, then a two day workshop is ideal. If you are only interested in half the process (i.e. just the throwing of the pot), then a short class (few hours) is sufficient. This workshop is geared to teaching the complete set of processes involved in making a pot or other thrown item. For the beginner thrower, acquiring turning skills is essential. 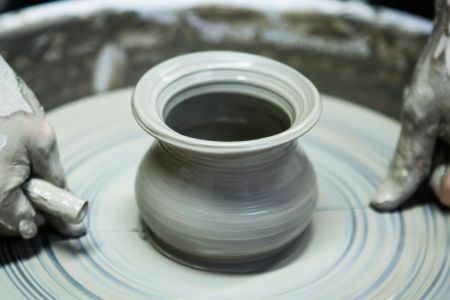 The reason for this is that the thickness of the walls and base of the pot (thick walled, heavy, pots are a signature of beginner throwing) can be trimmed away creating a more sophisticated or refined item. This workshop is suited to both beginners and intermediate levels. Each person will have their own dedicated wheel. We will cover the basics of centring, opening, pulling and shaping your pot as well as the trimming of the pot. On day one, you will also be introduced to the ancient art of Nerikomi. Nerikomi is a technique involving the blending of two different coloured clays, one dark and one light. The pots thrown, using this technique, have a wonderful marbled appearance. Although popularised in Japan, hence the Japanese name, this is an art form with roots in ancient China and Egypt. At the end of the workshop, you will have two beautifuli pieces which will be fired and glazed in transparent. You can collect your pieces two to three weeks after the workshop. All materials are included in the cost of this workshop. Please note, we need a minimum of six people to run this workshop. 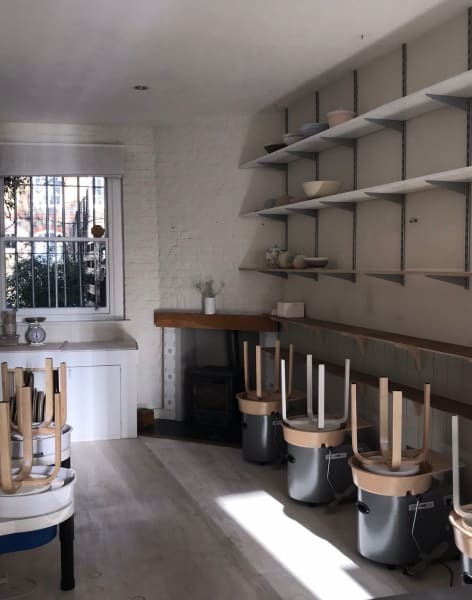 Sak Beh Studio Pottery was founded by Tessa Robinson, who lives and works in London. 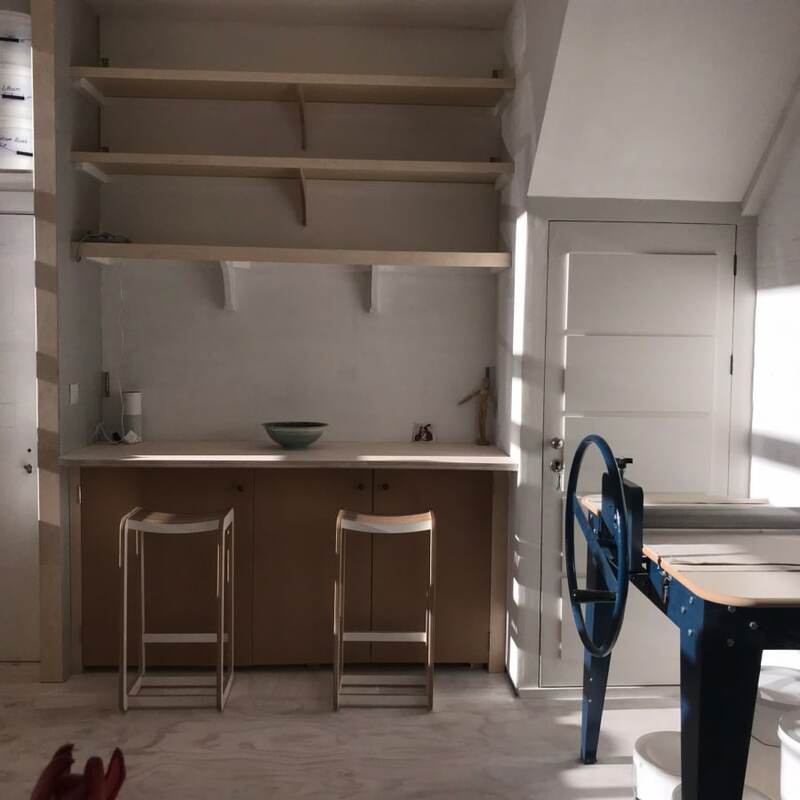 Her idea was to create a comfortable, homey place to work and be creative. 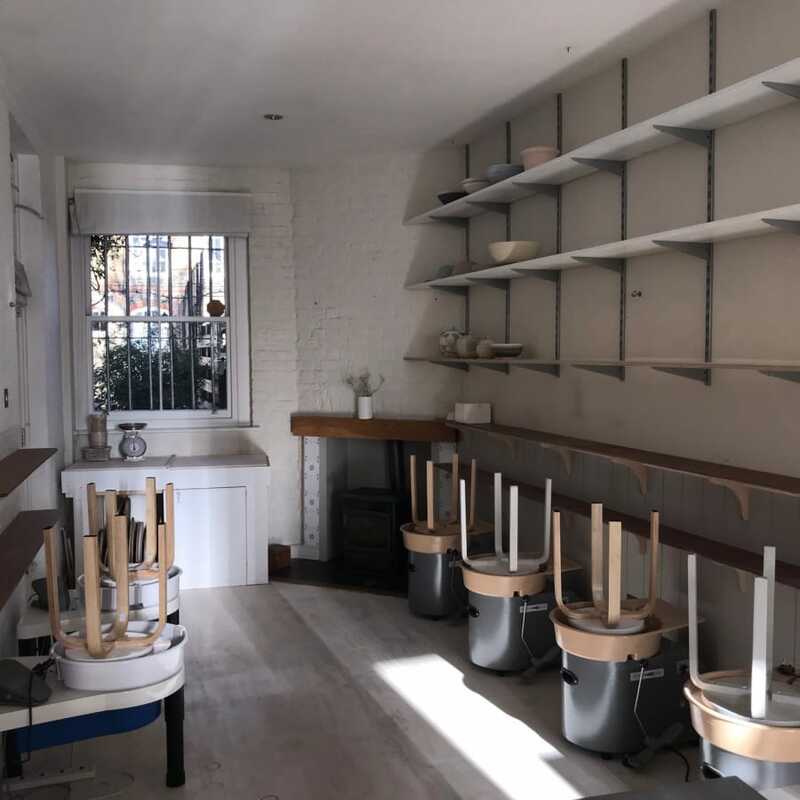 Situated in a very busy and central location, just off Stoke Newington High Street, the studio is a drop of calm in a very fast moving world. 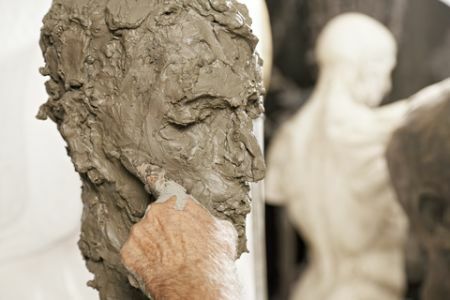 Tessa trained in Fine Art, specialising in sculpture (modelling in clay). 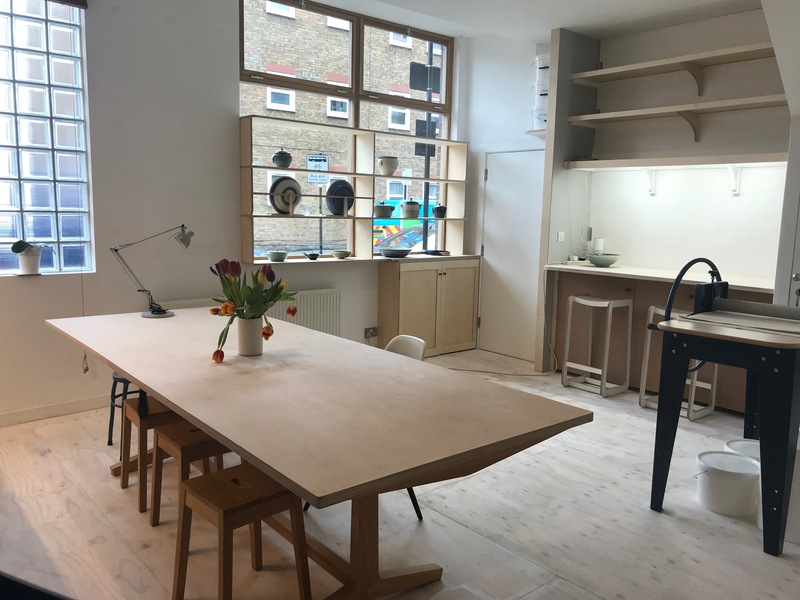 On completion of a three year Post Graduate Course at the Royal Academy of Arts, Tessa set up a studio in Hackney. 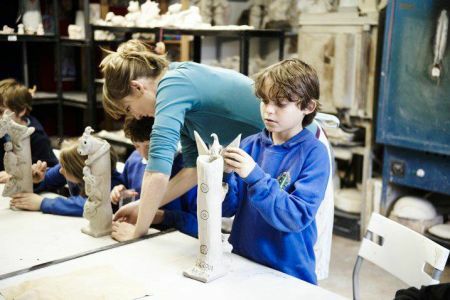 The transition from sculptor to potter came many years later whilst doing doctoral research in Maya archaeology at UCL. Inspired by Maya ceramic art, and in particular the pots which combined sculpted and painted imagery, Tessa moved from research back to making. After attending courses in pottery and taking up a membership at a London pottery studio, she set up Sak Beh Pottery and is now a full-time potter and maker. Tessa's works are informed by both her Fine Art training and her research into Ancient Maya ceramic art. The phrase 'Sak Beh' can be found on Ancient Maya monuments where it refers to the Milky Way as an ancestral path or road as well as the physical roads which connect people to places. In keeping with its namesake, Sak Beh Pottery is envisaged as a place for community interaction within the context of a creative journey.